, that includes tickets to MWC and HMD’s #GetSmart event. Three winners receive the main price, that also includes a phone, while three runner-ups get “just” a phone. Today, the official winners were announced on Nokia Community Forums. If you want to check if you won, then click HERE. We congratulate the lucky winners and wish them a great time in Barcelona. The last time HMD took fans to an event (it was also the First time on a global level), was for the Dubai event in December last year, and thanks to that we got a great report about the company from the lucky winners that went there. 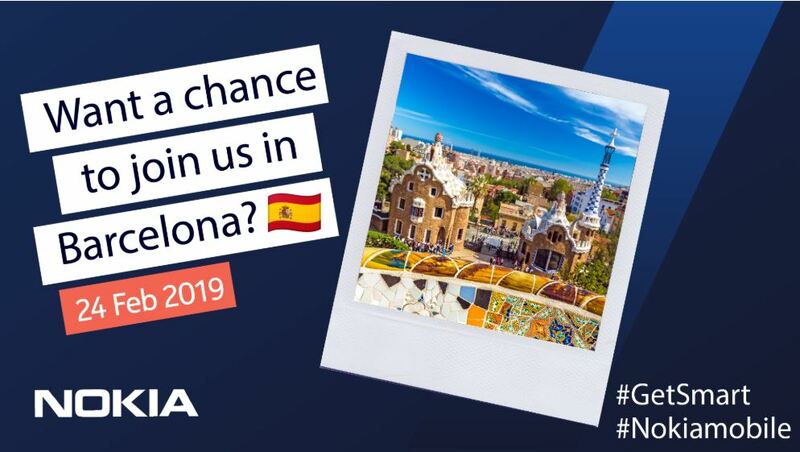 HMD’s Nokia Mobile event in Barcelona is scheduled for 24th Febraury at 16.00h. A link for the livestream will go live shortly before the event.